Since starting the Korean part of this blog in the summer of 2013, a lot has changed in the Korean Craft Beer scene. This list is a tip of the hat to what I think were the highlights of this past year. This is not an official list or a consensus. I didn’t try all the beers or visit all the pubs. And perhaps some of the candidates were more 2014 than 2015. Deal with it. This is just my personal favorite things in 2015. It is biased, in a sense, but there’s no craft beer place or person in the country that I have a grudge against. Lots of great, great places that I love have been left off this list. I love going to Reilly’s, Maloneys, Magpie, The Booth, and many more. Plus, there’s lots of great places I haven’t visited yet. The inclusion of The First Alleyway might surprise many who haven’t heard of it or read my pub crawl in Gwangju. I love it because it’s just my favorite space in the country. The food, the friendliness, the games! Galmegi, CraftBros, and Four Seasons all do their own beer. Galmegi has amazing pizza. CraftBros is probably the best bottle shop in the country. But my winner for 2015 is Pong Dang. Some of the bottles served at Pong Dang. Not an exhaustive list! 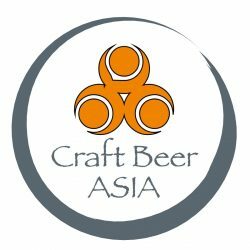 Barrel aged and sour Korea craft beers? YES! Pong Dang has the craziest rotating tap selection in the country. They seem to have a new tap takeover every other week: Magpie, Ballast Point, Upright, Barrel/cask aged imports, etc. They also serve their own contract brews and have been one of the only places in Seoul I’ve been able to find Galmegi and Wild Waves. Throw in a Street Fighter II Turbo arcade game and my bias towards Gangnam locations and we have a winner! I’m hugely biased here. I clearly favor Hand & Malt, Magpie, and Galmegi and if I made this list a top 10, probably at least 8-9 spots would go to those three breweries (Maloney’s is brewed at Hand & Malt). It’s hard to leave off the Hand & Malt’s Slow IPA, which many would think is a better choice than the Barrel-aged Mocha Stout which was a little too strong on the bourbon but was new and daring. Also, I love many of the contract brews available at CraftBros, Four Seasons, and Pong Dang. Craftworks did a solid job with their summer series. And my personal favorite might have been Galmegi’s Doljanchi IIPA which didn’t even make the list. The Combat Zone relaunched at Phillies this year with a little more balance in the hops, bringing more to the aroma and less to the hop bite. The Hallabong Gose is, I think, the single best introductory sour ale with its very light sour and salt touch rounding out the beautiful hallabong citrus and peachy yeast notes. The Chyung Pyung Harvest Ale, the first made with Korean hops, was underwhelming at first. I thought it was slightly vegetal at the launch. After trying it again at Reilly’s, I was surprised with how much more floral and balanced it was! Always give a beer a second chance! What you ate, the time of day, or anything else can change your perception of it. But my winner for 2015 is Magpie’s The Last Train Baltic Porter. From Magpie’s Facebook page. Magpie also has the coolest artwork for their beers. Magpie’s Porter was among the first true Korean Craft Beers and remains a very solid choice in today’s crowding market. The Last Train seems to ramp up all that roasty gorgeousness to the max, weighing in at 8%. Fermented slowly at lower temperatures, this is a gorgeous beer. I almost picked Magpie’s A Bird in the Hand RyePA, but realized that was more of a 2014 beer.